135 mph standing still !!! 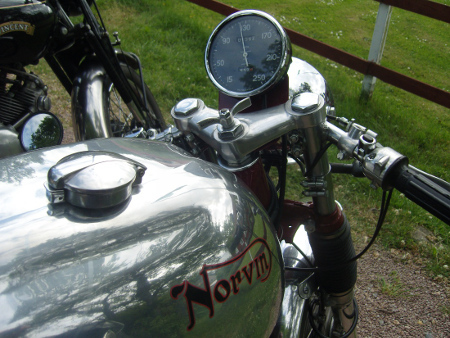 A Norvin with a speedometer where the needle was stationary at 120 km/h after the wire suddenly broke was observed at the 2014 meet in Hällekis. See "Picture of the Month" July 2014. This year at the meet in Västervik we saw this Black Shadow. Much worse !